The 2015 Volvo XC70 proves the station wagon is not only still relevant, but as capable and sophisticated as ever. 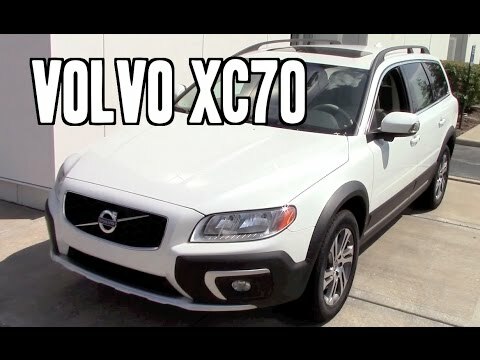 Though its styling won't appeal to all, the XC70 has SUV-like ground clearance, cargo room galore, advanced safety features, and sedan-like driving manners. For 2015, a turbocharged 4-cylinder engine joins the lineup for improved efficiency. The quiet, beautiful monster in your garage. This is a beautiful, sleek, understated, classy vehicle. The lines are graceful and quiet. The engine roars, it is so powerful. Comfort is extraordinary! The reliability of this car is one of the best I have ever owned! It is not a showy, gaudy, look at me car, more like a "I have class, money and taste," and " I do not have to brag" car. This car is for people who are secure in themselves and their assets! Volvo xc70 most reliable vehicle. I love my car, very reliable, solid car. I feel safe and protected. It has all the extras, best feature would be heated seats & side mirrors. Heat traction in bad weather. Great stereo sound. It is a wagon so lots of cargo room. Great on gas mileage also. I love my vehicle this is the second volvo i have owned. Its safe and hardly has any problems. The only complaint is parts are expensive when it does have problems.